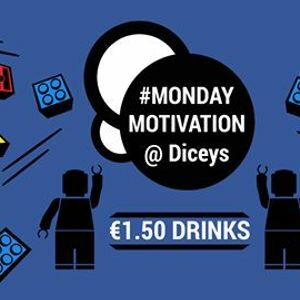 ★★★ Monday Motivation at Dicey’s, Harcourt Street. You read that right all our burgers, chips and premium drinks are only €1.50, upstairs and downstairs! The home of Monday’s in Dublin! LIVE Music with Dj Abstylez all night! For Freelist // Birthdays // Work Bookings // Get in touch!